From presentations to live-action video, creating original content and placing into the ideal format is one of the most intricate problems we help clients solve. Which is why we’ve cultivated long-term relationships with media partners who have the know-how to convey our clients’ message and enhance their brand image. No matter the medium involved. Our team will work with you to build a custom strategy to deliver your uniquely branded message. We can help you plan and execute your project. Or, we can go further and help you research and write a script. Secure shoot permits. Even source talent and scout for locations. Whatever your production requires—whatever logistics you’re looking for us to support, we have you covered. “Alcoholism & Substance Abuse Provider of New YorkState (ASAP) had the pleasure of working with Cheshire Audio Visual for our 19th Annual Conference. Our meeting is very complex in a ‘busy’ sense, with profile general sessions, mini-plenaries and numerous break out sessions. From the planning stages, preparation with us learning what our particular needs were to the set-up and execution through the event, Justin and his team at Cheshire Audio Visual were ultra-responsive, hands on, professional, team-oriented and very knowledgeable. The creativity and customer-service philosophy to respond appropriately to every request, as well as work within our budget, Cheshire Audio Visual went above and beyond to make sure that our needs were met. 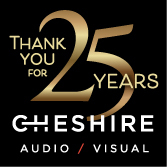 I definitely agree that Cheshire Audio Visual lives by their commitment to excellence and their assistance and attention to detail is invaluable! Cheshire Audio Visual not only rose to the occasion, their devotion and deliverance of audio visual services to the success of our conference surpassed our expectations and was impressive! I would highly recommend them for any event! “The meeting went very very well, and we are so pleased with everyone in Rochester, and in particular the video keynote files. Your guys did a great job on the video, not to mention everything else. Please thank them personally again for being so very professional. I was kidding with them, that I was going to tell you to give them all a raise. But all kidding aside, they were all extremely professional, helpful, attentive to our needs, and very concerned that they were providing what we need. Great employees; they did you right. If we can ever use your services again, we certainly will. Roberta Sumner – VRS Meetings & Events, Inc.
“Thank you again for a great job with NAFCU. Overall we were very happy with the show. The gear all worked, the projection looked great and you were a super A2 – a very important position in creating client comfort backstage! “The work that Cheshire has put in over the past few years has exceeded my expectations! The ability of the Cheshire team to get things done was beyond impressive. We know that we can count on Chuck and the rest of the team to help us put on a beautiful and successful event for years to come. Thank you for partnering with our cause! “Hale Northeastern Expo Services’ expectation of service excellence is probably higher than the majority, because we have had the honor of working for some of the most prestigious associations and companies in the country. When we choose to subcontract audio visual and production support for a specific program, we choose carefully. We require a company that not only has the best in state-of-the art equipment but one who has an experienced staff to produce that event with the same level of professional integrity as we have. Cheshire AV has proven to us that they understand that synergy. I am pleased to write a letter of recommendation for Mr. Justin Cheshire. Thanks to Justin’s hard work and dedication in his current position as Director of Sales and Development at Cheshire AV, he has achieved an outstanding rapport amongst clients such as Reckitt Benckiser, various vendors, and our company, Direct Travel. Justin has demonstrated exemplary proficiencies throughout our relationship with Cheshire AV; most importantly proving to be an outstanding communicator, whether through his written or verbal correspondence. Justin has also proven his versatility to work as a collaborator with our team at Direct Travel and, when necessary, his ability to take the reins and step up as a leader in order to get the job done. Furthermore, Justin has never been one to overstep his boundaries and has always worked with the utmost professionalism and graciousness, thus making him nothing short of a delight to work with. It is with great pleasure that I recommend Mr. Justin Cheshire to your company and I look forward to speaking with you about his further qualifications. I wanted to let you know that Jesse & Chris were a top notch A/V team. Their execution was flawless. I’ve been doing this conference since 1998 and the A/V and special lighting this year was in a completely different league. This was the first time there was no last minute panic before our opening general keynote session. There was no scrambling to resolve any malfunctioning equipment during anytime throughout the conference. There was no reverberating feedback or dead spots. It was simply a first class operation. They were a complete pleasure to work with. They were always on and prepared. They quickly responded to any request and resolved any last minute disruption with an immediate solution. They contributed ideas and helpful recommendations. They made sure that every speaker was properly prepared and comfortable with the equipment before going on stage. I’m sure Jesse and Chris represent the quality of cadre across your organization. I would recommend you’re A/V to anyone who wants to host a professional event and not have to worry about the A/V logistics. On behalf of the entire Calero team and all the customers that enjoyed the wonderful event this year, I wanted to extend our heartfelt thank you. Your team was a pleasure to work with. Please feel free to use us as a reference. We look forward to working with you on our 2015 Calero World User Training Conference in Phoenix in September. Cheshire has worked with the University at Buffalo Dental Alumni Association since 2007. We host the Buffalo Niagara Dental Meeting, an annual meeting of approximately 2600 professionals. We have between 25-30 speakers and lectures over a 3-day period. We NEED an AV company who knows how to switch over several lecture rooms at the same time, knows how to handle the different personalities and needs of our speakers, and knows how to solve any AV problem that may arise. We appreciate working with the staff of Cheshire and have come to trust and respect their ability, creativity, and professionalism at our annual meeting! Cheshire is a direct reflection on us! We had a terrific experience with the Cheshire Team at the School Dropout Prevention Summit in September 2015. I cannot speak highly enough of the work that Justin and the rest of the team did to ensure that our event was an overwhelming success. From the beginning, Justin has been an exceptional partner. He attended various site visits, spent time on the phone carefully walking through details, searched high and low for the right podium and the best audio system, and visited the Hilton venue on several occasions to get questions answered. It is like a world class orchestra, the way the team works. We could not have organized a state of art conference without Cheshire Team and am so grateful for the partner I found. Thank You!